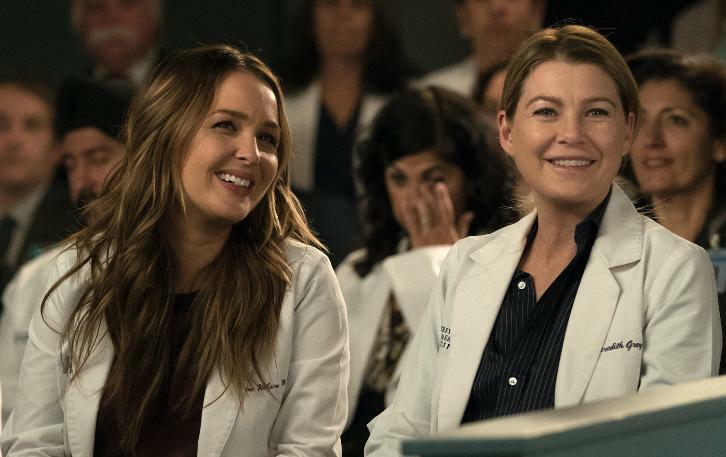 “Judgment Day” – During presentations on Grey Sloan Surgical Innovation Prototypes Day, Arizona shares some cookies from an appreciative patient that, unbeknownst to her, contain a special ingredient. Meanwhile, Catherine reveals some shocking details to Jackson about his grandfather’s past; and Jo steps in mid-operation on a major surgery after Bailey and Meredith are down for the count, on “Grey’s Anatomy,” THURSDAY, APRIL 19 (8:00-9:00 p.m. EDT), on The ABC Television Network, streaming and on demand. “Grey’s Anatomy” stars Ellen Pompeo as Meredith Grey, Justin Chambers as Alex Karev, Chandra Wilson as Miranda Bailey, James Pickens Jr. as Richard Webber, Kevin McKidd as Owen Hunt, Jessica Capshaw as Arizona Robbins, Jesse Williams as Jackson Avery, Sarah Drew as April Kepner, Caterina Scorsone as Amelia Shepherd, Camilla Luddington as Jo Wilson, Kelly McCreary as Maggie Pierce and Giacomo Gianniotti as Andrew DeLuca.